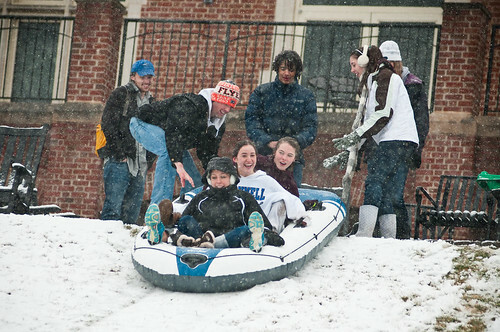 Students went sledding down the hill by the Athletic Quad during the first snow of the season. We had a chance to go sledding one day when Cub Scouts got canceled. So sled we did! 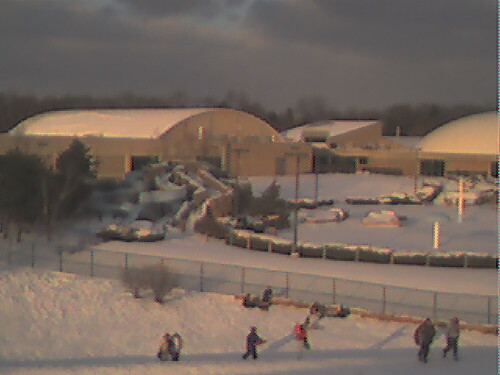 Take a look over at the Kettering water park all covered in snow! Cool!